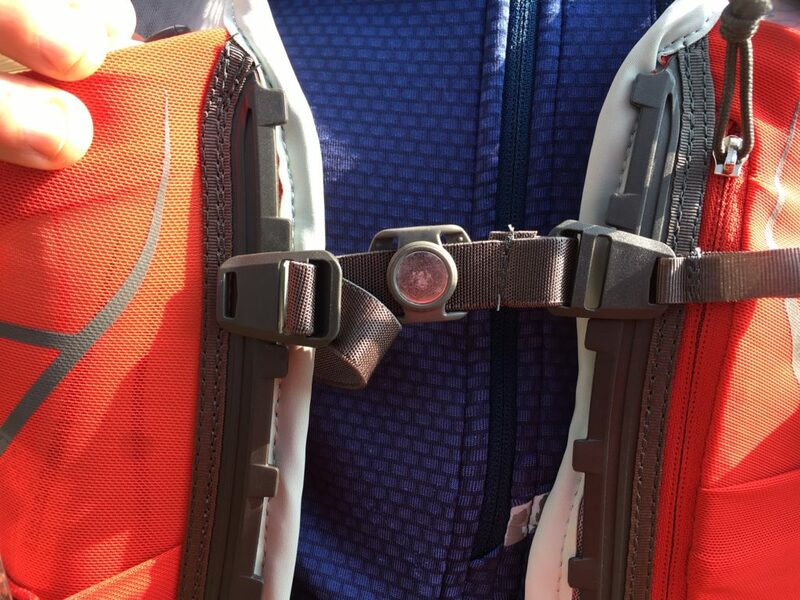 The Duro 15 is the largest of Osprey’s three backpacks designed for trail running. Having already tested and used the smallest pack, the Duro 1.5, I was keen to look to the other end of the size scale to see what the 15 litre version had to offer. The first thing I noticed about the Duro 15 was the number of storage options; the pack has no less than 8 zipped pockets and 5 mesh pockets, all of various sizes! The main zipped compartment on the back can easily hold items such as spare clothes, emergency shelter, waterproofs etc. whilst a rear stretch mesh pocket with clips gives faster access to items; useful when it’s an on – off waterproof day. A smaller rear, zipped pocket has a retaining clip for keys and can fit a wallet or phone. Two decent sized side zip pockets are big enough for hat, gloves and food and are just about accessible without having to be double jointed! rear side pockets can be reached without being double-jointed! 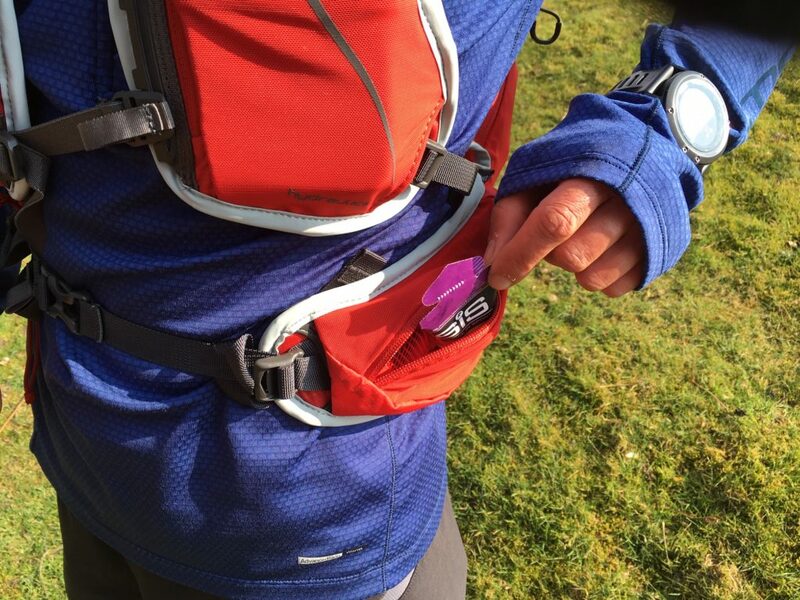 The zipped pockets on each hip are easily accessed on the run and provide another option for smaller items such as snacks, gels, compass, car keys etc. Finally a zipped pocket on one side of the chest is just large enough to fit a phone although it’s a tight fit if you have a full soft-flask on the same side. On the front straps there are two deep, mesh pockets that house the soft-flasks or can be used as storage (another option for accessible phone storage). They also have elastic retainers for the soft flasks and an emergency whistle. 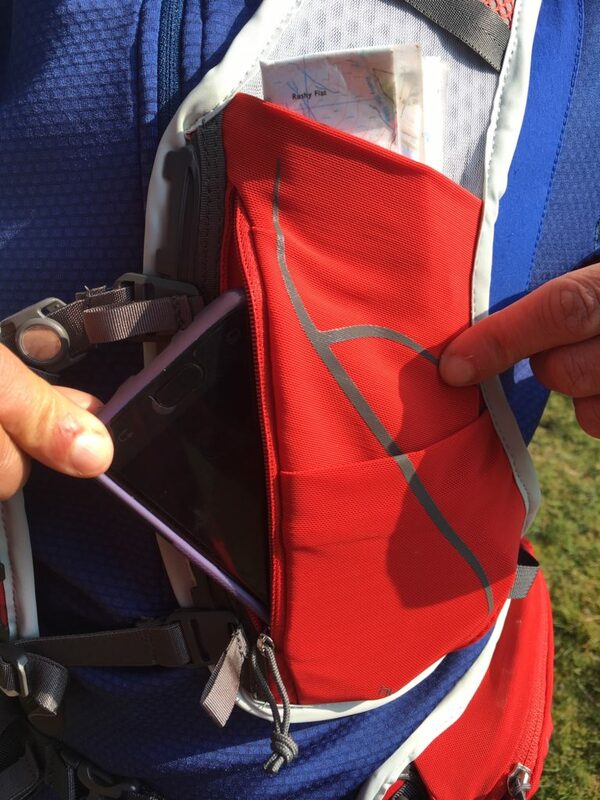 Two smaller mesh pockets below these would hold a compass, gels, electrolyte or salt tablets etc. There are also two elasticated pole loops on the top shoulders for carrying lightweight hiking poles when not in use. To be honest I didn’t try to use these as I don’t have any poles, but I can’t see that they would be particularly easy to access whilst wearing the pack. The Duro 15 offers versatile hydration options coming supplied with two 500ml soft-flasks with straws and a 2.5 litre bladder that fits into a dedicated zipped pocket with clip to keep the bladder in position. The bladder has a wide mouth which makes refilling and adding energy or electrolyte powder easy and the hose has a clever disconnector which allows the bladder to be removed whilst keeping the hose in place. This is really useful for mid run refills and stops you having to unthread and re-thread the hose and also makes for easier cleaning. The hose has a bite valve with a twist closure to prevent accidental leakage. Whilst running the hose can be kept in place by a magnet that attaches to the sternum strap. This does a surprisingly good job at keeping things in place but has the downside that you need to keep your compass well away from it! The magnets are easily removable if this is an issue. 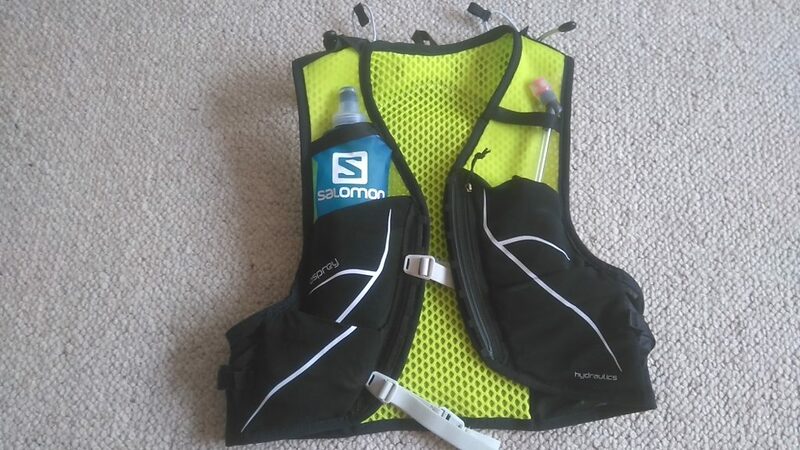 If you don’t want to use the bladder, then two 500ml soft-flasks (supplied) can be stored in mesh pockets on the front of the pack on the lower chest. The long straws make drinking on the go fairly easy, however I found it quite difficult to get the full bottles into their pockets as the fit was too tight. Also it wasn’t possible to put the straws behind the straps designed to keep them in place without bending them in half (something I’m not sure is good for the straws). Osprey do make smaller 250ml flasks which are a better fit. The Duro 15 is a unisex pack that comes in two sizes, Small / Medium or Medium / Large, mine being the smaller version. 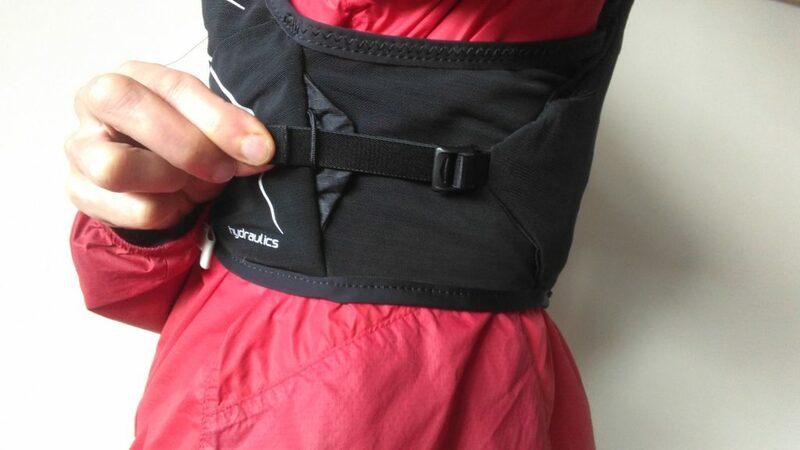 There is lots of scope for adjusting the pack with tensioning straps on the front, hips and waist plus elasticated straps across the chest that can be unclipped and attached in a number of positions. The elasticated straps allow your ribcage to expand and so don’t restrict your breathing. The chest straps can be unclipped single handedly although I found them a little tricky to fasten at first. 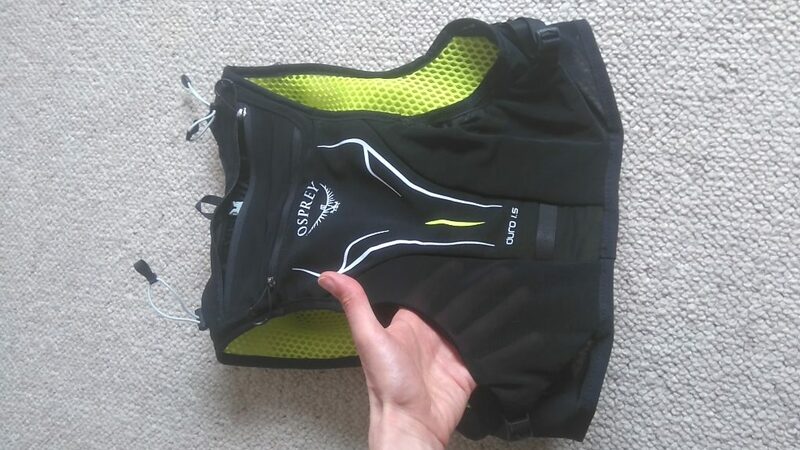 The back is slightly padded with a mesh design to help breathability and I found the pack comfortable, although as with any pack without a “back plate” you need to pack carefully to ensure that nothing hard digs in and causes discomfort. At a touch over 500 grams the Duro 15 isn’t a super-light pack, but this means it is more comfortable and has more features than a lighter pack. With an RRP of £140 it isn’t cheap, but it feels like it is built to last. 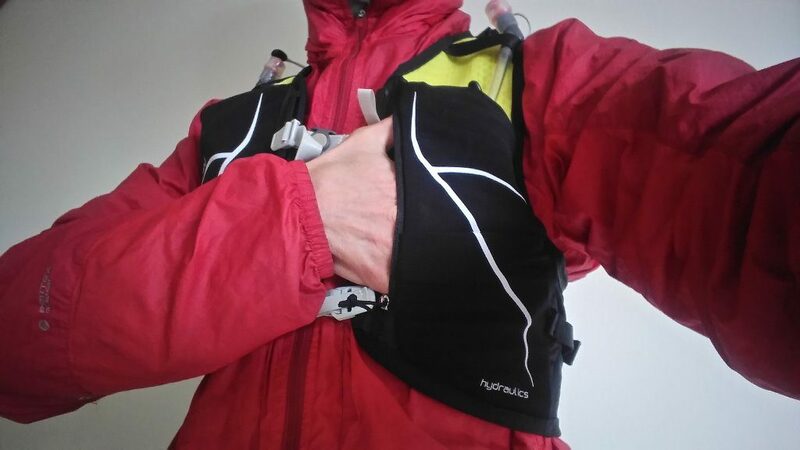 The Duro 15 isn’t designed as a lightweight race vest, it is more suited to longer days on the hill where you need to carry more equipment, for example mountain running in winter or in bad conditions. 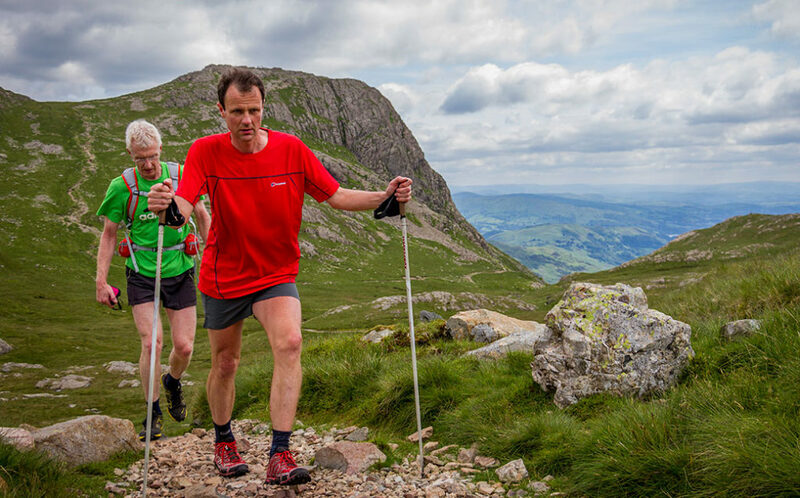 It would also be a good choice for multi day races or for supporting long distance challenges such as the Bob Graham Round where you need to carry equipment for someone else as well as your own. I would also use it as a summer walking pack. 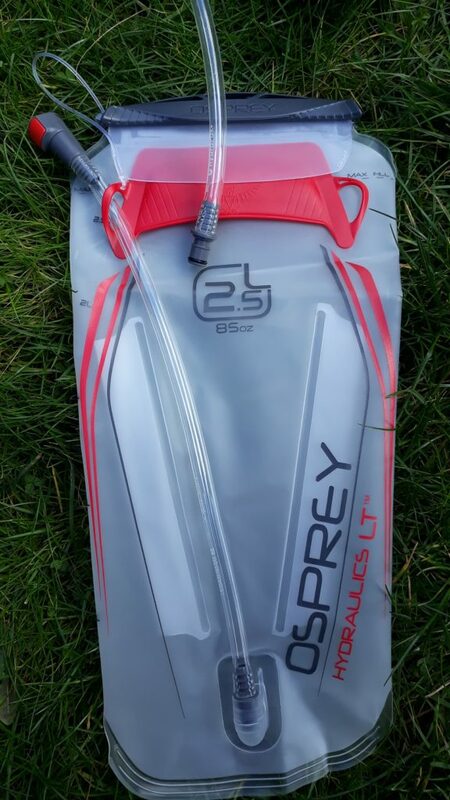 Loads of storage, good hydration options, comfortable. Difficult to get the 500ml bottles into their pockets! A comfortable pack with lots of storage and hydration options. Ideal for long, remote runs, multi day events or runs where slightly more carrying capacity is needed. 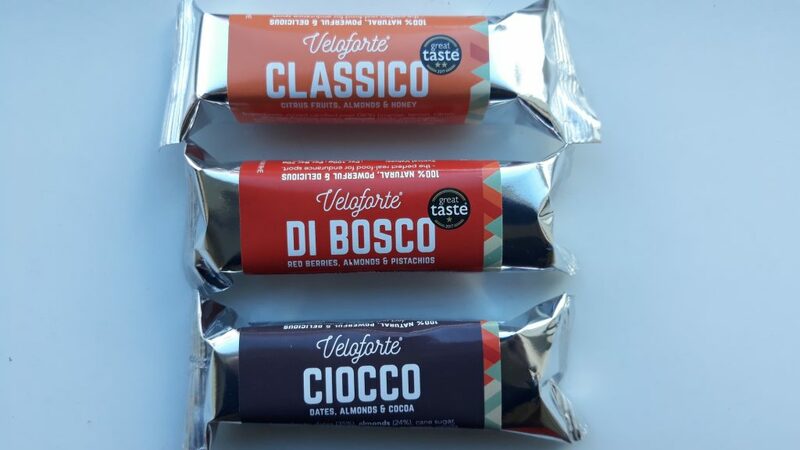 Veloforte offer a range of energy bars designed to fuel endurance athletes whilst using natural ingredients. The bars come individually wrapped as a 70g serving with just less than 300Kcal per bar so contain plenty of energy to fuel long days on the hill. The bars are quite dense and chewy so are more suited to use on ultra type events or long training sessions rather than as a quick fix during a shorter race. 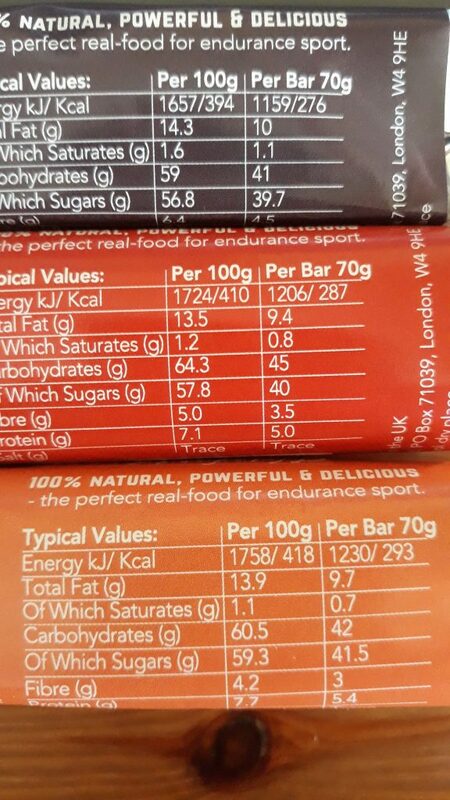 All three bars also contain almonds and have around 5g of protein so make a good post run snack to help recovery. datey, nutty, chocolatey – tasty! 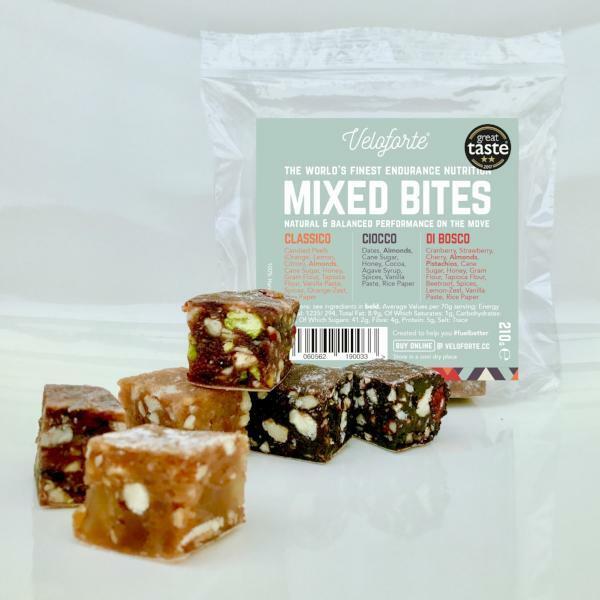 As well as being available as individually wrapped bars Veloforte also offer a Mixed Bites bag. This contains all three flavours of bar but pre cut into bite sized pieces. This is ideal if you want to eat little and often and solves the problem of what to do with a half eaten, unwrapped bar. 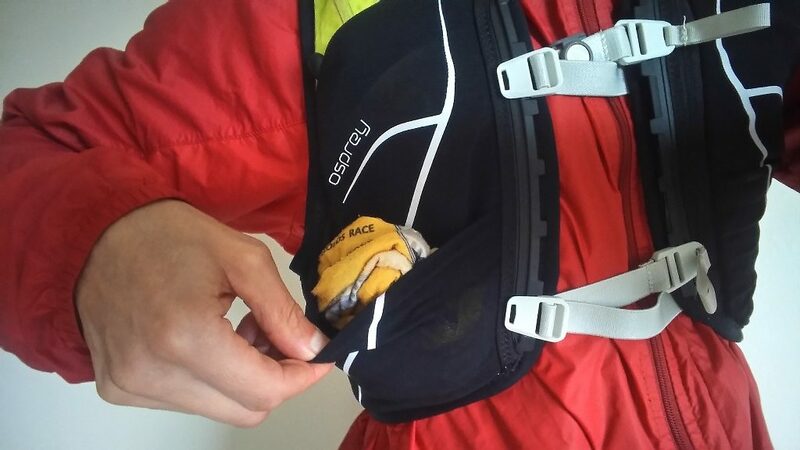 The bite sized pieces come in a handy zip lock type bag which is ideal for stuffing into your bumbag or running pack pocket for easy access on the go. 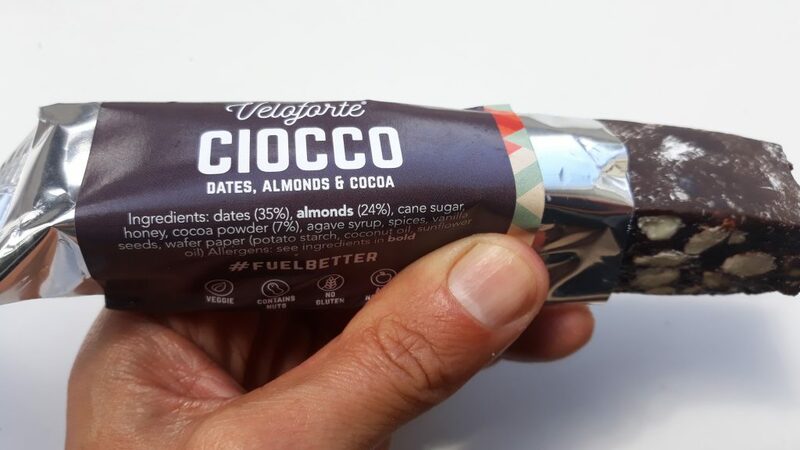 Verdict – Tasty with good blend of Carbohydrate and Protein and using natural ingredients, Veloforte bars are ideal for fueling long distance endurance events. I’d include them in my nutrition for events such as the High Peak Marathon or the Bob Graham Round where the pace is slow enough in places to allow you to chew and breathe at the same time! They also make a good post race snack. I’m a fan of compression socks, so was interested to come across these from Copper Clothing Ltd which have copper infused into the fabric. Although there is mixed evidence that compression clothing leads to a performance benefit and aids recovery (see here and here), I still think that the jury is out, however, I choose to wear compression socks or calf guards for certain runs. In cold weather I find that they help keep my calves warm, particularly important if I’m doing faster training or hill repetitions. They also help protect my legs if running through bracken or heather and they can also help prevent tick bites in summer where the advice is to cover the skin in known tick habitats. What’s so special about copper? According to Copper Clothing’s website copper has anti-microbial properties which can kill off any bacteria and so help prevent problems such as fungal infections and athlete’s foot. If you’ve ever left a pair of damp running shoes in a warm place for a couple of days the smell will tell you that there’s something starting to fester in there! 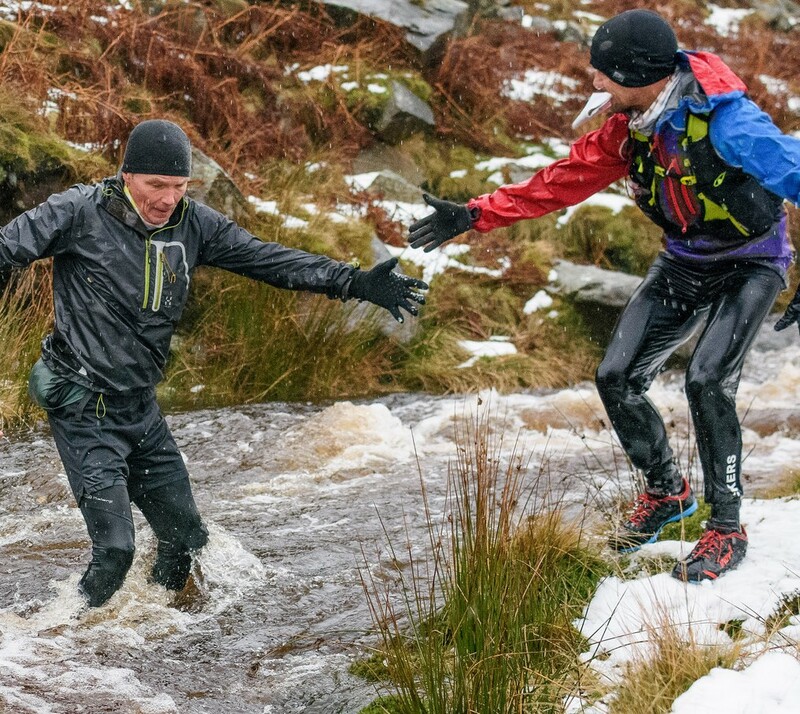 Wet feet are a fell runner’s occupational hazard all year round, whilst in summer, sweaty feet and moist shoes are are an ideal breeding ground for bacteria – have you ever seen a fell runner with nice feet?! So a pair of socks that help keep your feet healthy sounds like a good idea. 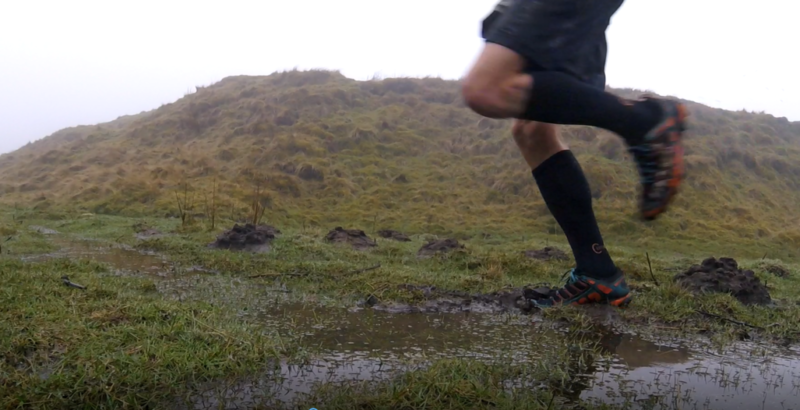 On test – I’ve been testing the socks for a couple of weeks now and have worn them in some pretty soggy conditions. I like the fit which is snug but not too tight and they aren’t too tight across the foot which makes them easy to get on. I had three wet runs in them before washing them, I just hung them on a chair near the radiator to dry out and they didn’t smell! Copper Clothing claim that washing the socks doesn’t diminish the properties of the copper so hopefully the benefits will last for the lifetime of the sock. Time will tell how durable they are. When would I wear them? As well as in the conditions previously mentioned I think these socks would be worth using on long runs when your feet are going to get damp – that could be most of the time in the UK. Or on long runs when your feet are going to get sweaty – which is the rest of the time! They would be ideal for a long “Round” such as the Bob Graham, pity I didn’t have them last year on the Bob Graham Round where I spent 21 hours in the same pair of wet socks! 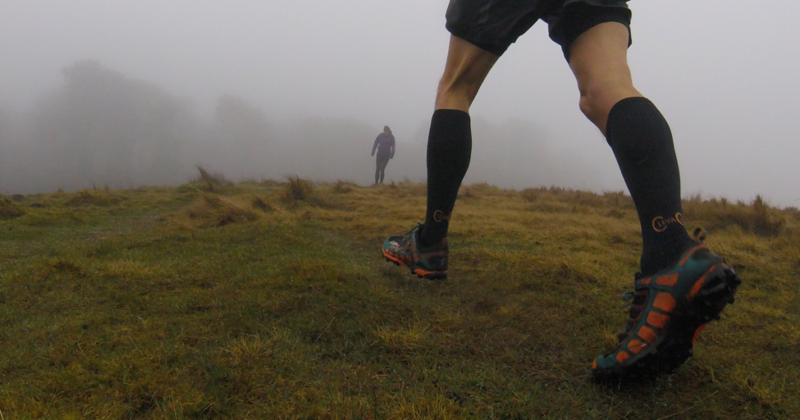 Verdict – Although I’m not convinced of the benefits of compression in itself, I do like to wear long socks for certain runs. These Copper Clothing socks are comfortable and affordable and hopefully will help keep my feet healthy – quite a challenge considering the amount of time I spend running in wet, muddy conditions. 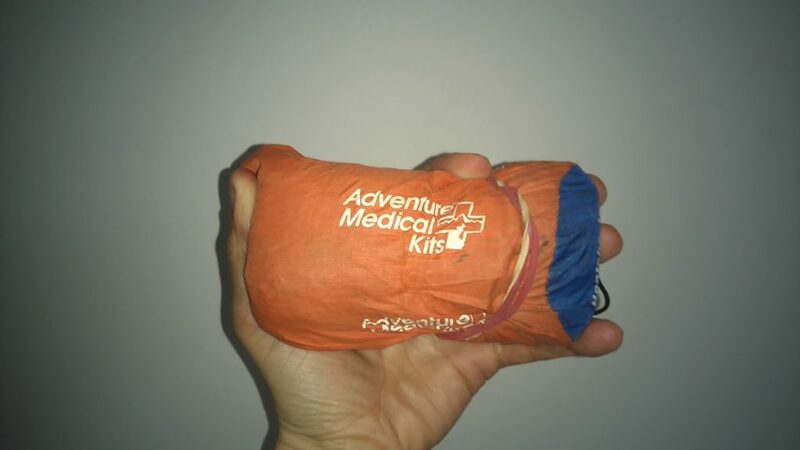 If I am running in a remote area or in winter I carry an Adventure Medical Kits emergency bivvy with me. This small, lightweight sleeping bag type bivvy bag is a great piece of kit which will take up hardly any room in your bumbag or pack. If the worse thing should happen and you or a mate gets injured whilst out running in bad weather then this could really help prevent hypothermia whilst you wait for mountain rescue. The bivvy is basically a large bag made of heat reflective polythene that you can get in to. As it is a bag rather than a blanket it traps heat effectively and is totally windproof thus creating a protective environment for anyone who is immobilised. Note that it is not breathable and so condensation will build up in it over time so it is not suitable as a sleeping bag! 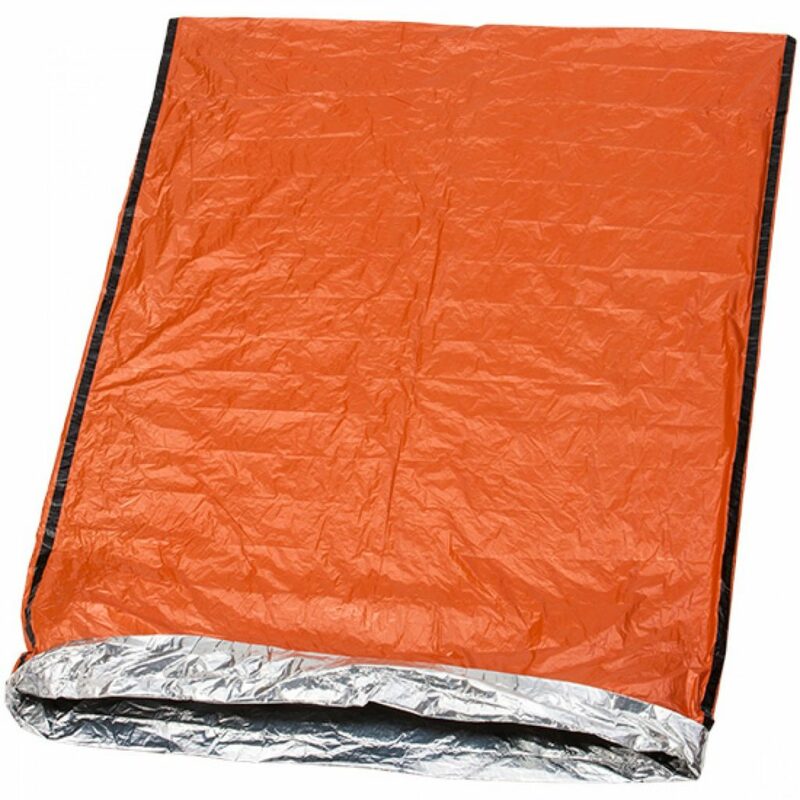 Unlike the traditional plastic orange bivvy bag, this version is made of much thinner polythene meaning that it packs far smaller and so is suited to packing into a bumbag or similar. They are available in different sizes i.e. one or two person, I use the smaller version. 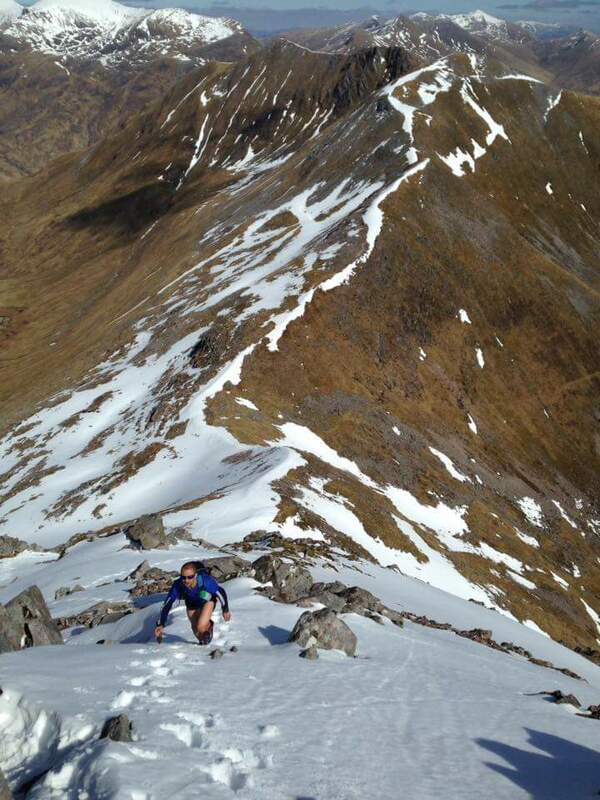 Some mountain races and long winter races such as the Trigger have emergency bag / bivvy on the mandatory kit list. the AMK one is ideal. 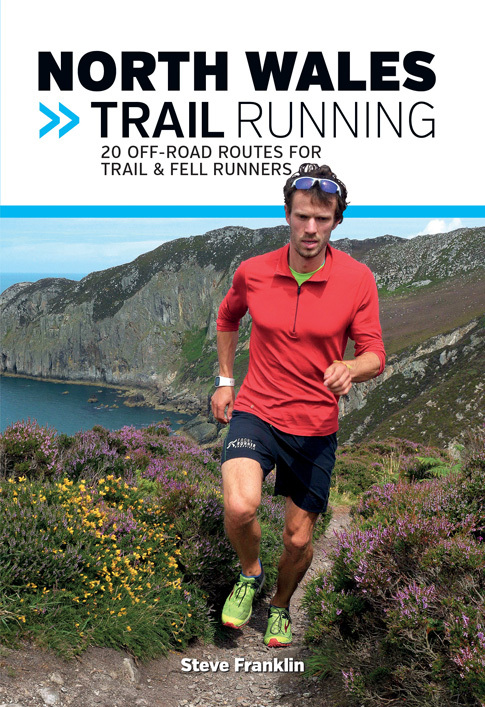 At around £15 it really is an essential piece of kit for anyone running in more remote areas. imagine waiting for Mountain Rescue here! 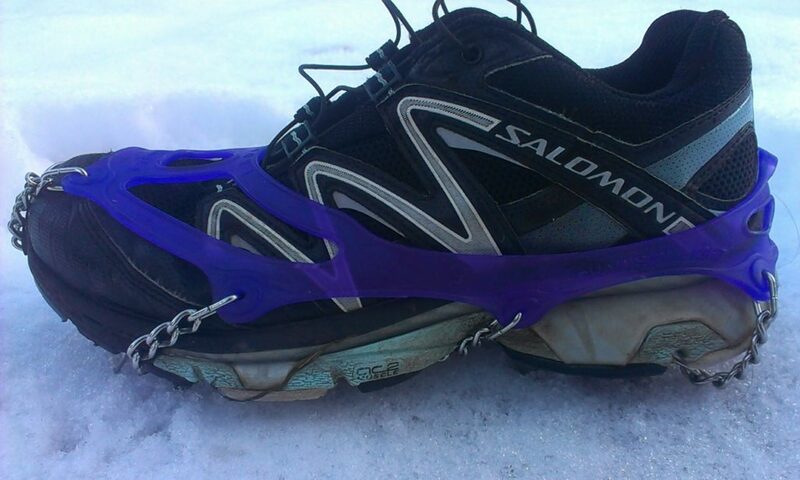 Running in icy conditions can be hazardous but thanks to Microspikes you can still enjoy those cold, crisp winter days. 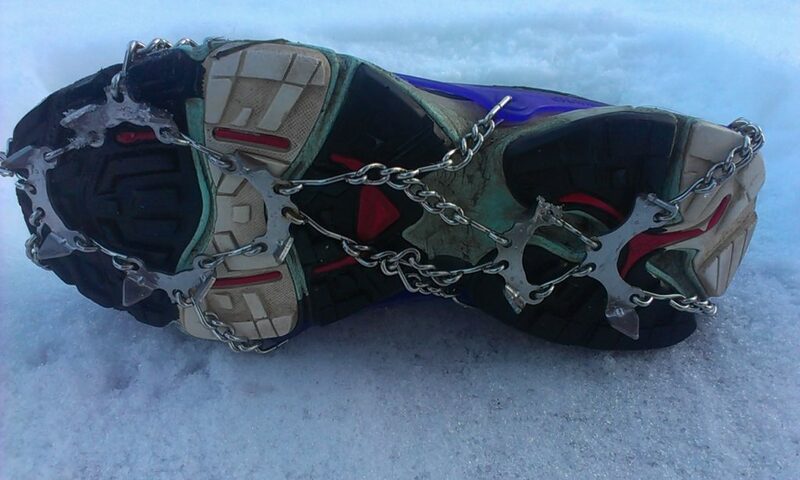 Basically they are a form of crampon designed for walking or running rather than climbing. They consist of a set of small, stainless steel spikes connected by chains and attached to a piece of tough rubber (an elastomer). They are designed so that they can be worn on your footwear simply by stretching the rubber cradle over your shoes. 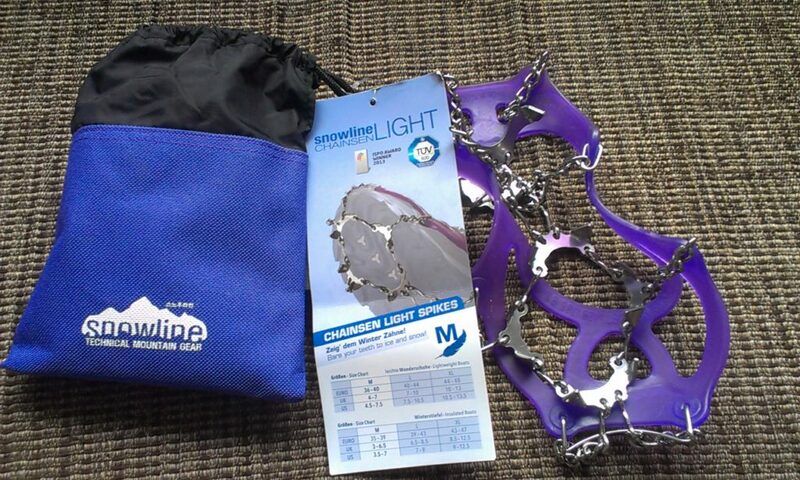 Kahtoola microspikes are probably the best known brand but I also have some Chainsen Snowline Snowspikes which are virtually identical (but a bit cheaper!) 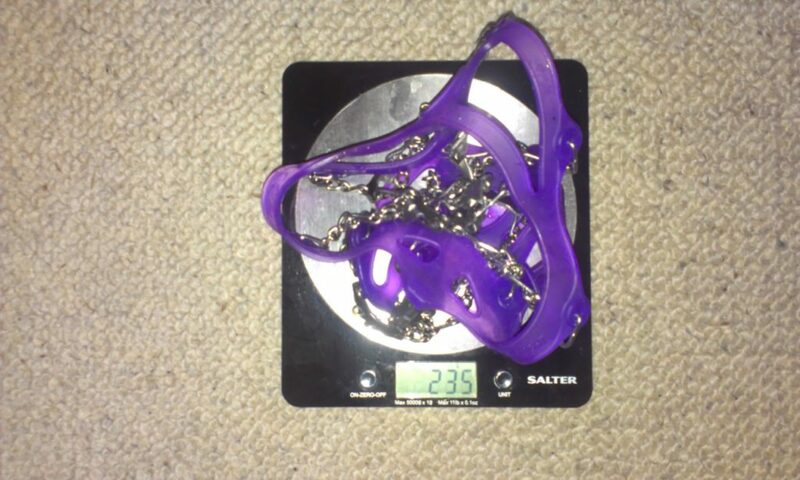 I have the Light version which only weigh 235g for a Medium sized pair. The Kahtoolas are slightly heavier at 338g. They are available in different size ranges, I’ve found that you need have them quite tight to prevent them coming off whilst running through deep snow. What conditions are they for? The sharp spikes grip really well on smooth ice and hard packed, frozen snow. 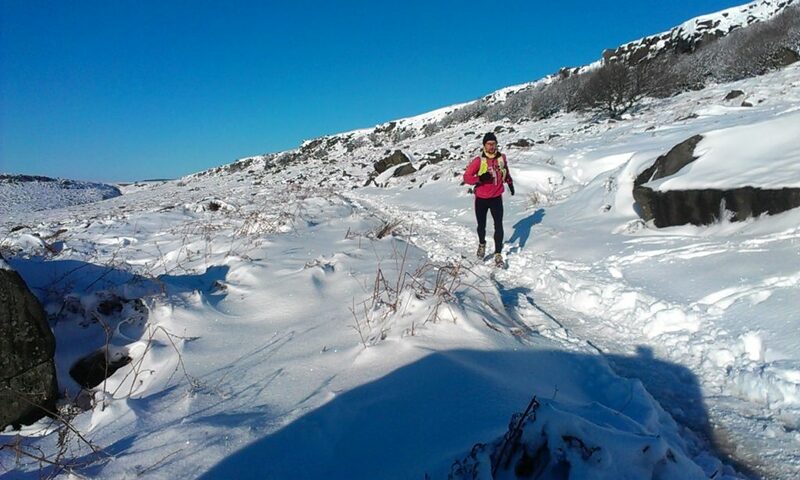 It takes a bit of time to build up your confidence but after a while you realise that you can run at your normal pace, even on the iciest of surfaces. 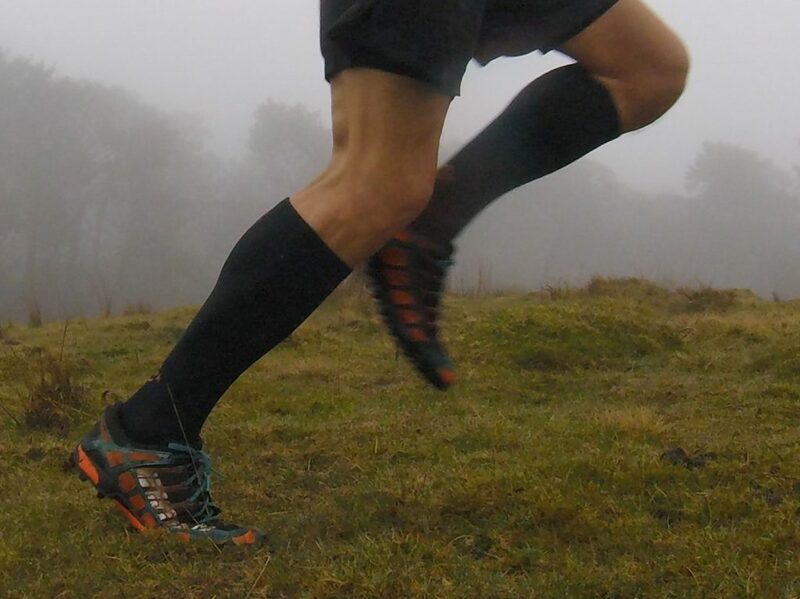 Whilst they can be worn in snow they don’t really offer much more grip than a running shoe with a good tread. They also work well on frozen ground such as grass and mud, even if there is no ice cover. You tend to find that you alter your stride slightly and land more flat footed than you would ordinarily do. Whilst they aren’t uncomfortable initially they can start to hurt a little if running for long periods on very hard surfaces. I once ran for about 15 miles wearing a pair and the soles of my feet were a bit sore afterwards! Most winter runs involve a variety of conditions; you might be running through fresh snow where few people have been but then encounter a well walked path where the snow has been compacted and refrozen. The first part wouldn’t require spikes but the second bit could be pretty treacherous. The good thing about both Kahtoola and Chainsen Microspikes is that their size and weight means that they can easily be carried in a bumbag or running pack and it only takes a few seconds to put them on. So you can take them on a run, put them on if you encounter any icy stretches and quickly take them off afterwards. The Chainsen spikes even come in a tough little pouch to prevent the spikes from damaging your bag. At around £40 a pair they are worth getting if you intend to continue running outdoors throughout the winter. They don’t need to be confined to running, they can be worn over walking boots and even shoes meaning that you can tackle the icy pavements with confidence. I know people who’ve worn them for a trip to the pub! So, if we continue to have cold winters a pair of Microspikes are a good investment, allowing you to enjoy running safely in conditions like this! Most people who climb the 214 Wainwright fells in the Lake District do so over a number of years. In 2014 Steve Birkinshaw managed to complete a continuous circuit of them; over 300 miles and many thousand metres of climb, in just over six and a half days. There is no Map in Hell is Steve’s written account of his tremendous achievement. Legendary Lakeland runner Joss Naylor had completed the round in the 1980’s, taking just over seven days and it was thought that the feat would never again be attempted let alone bettered. 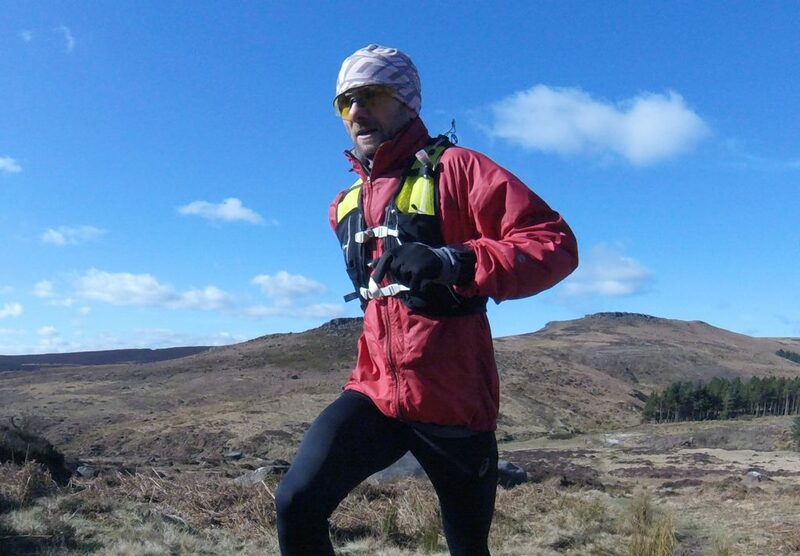 However Steve’s background as a highly experienced fell runner specialising in ultra distance challenges (including winning the 2012 Berghaus Dragon’s Back Race) meant that he more than anyone had the fitness and determination to give it a go. In the book Steve gives an insight into his family background and previous long distance adventures before he moves on to explain what the Wainwrights are and recall some of the history of early attempts by runners to complete the challenge. He describes the huge logistical task of planning the route, calculating a schedule and recruiting a team of helpers. He also discusses his training in preparation for the run. 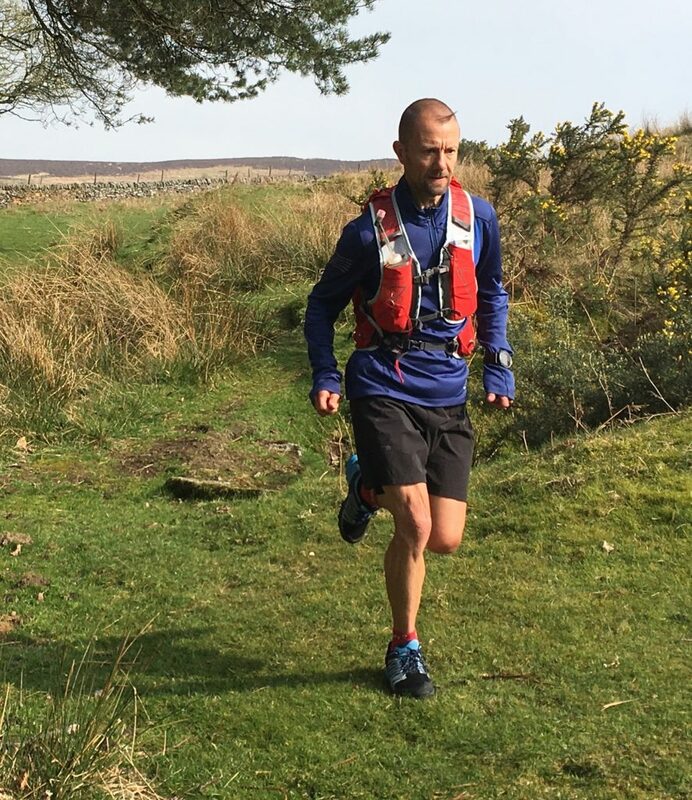 Steve then gives the reader a day by day account of his progress including details of each leg of his route and recounts his feelings, both physical and mental which unsurprisingly deteriorate as the week goes by. There are also short accounts from Steve’s wife Emma and support crew which give a glimpse of what was happening behind the scenes and the highs and lows that they too experienced along the journey. Finally he describes what he calls “The Aftermath”; the physical and mental toll of running the equivalent of two marathons with over 5,000 metres of ascent a day, every day for a week. 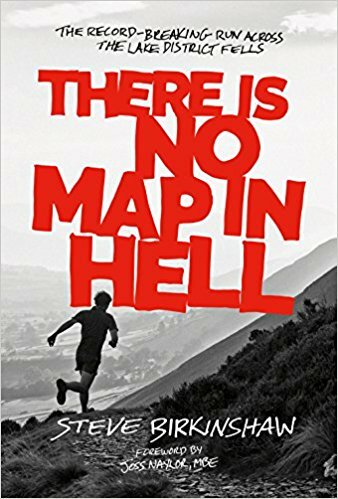 There is no Map in Hell will appeal to any fell runner who is familiar with the Lakeland fells or those who have experienced or are planning their own long distance challenge. Rather than being purely full of facts and statistics it gives an insight into the human side of a determined, family man who pushed his body to extraordinary lengths to achieve a running feat that many thought impossible. There is no Map in Hell is published by Vertebrate Publishing. 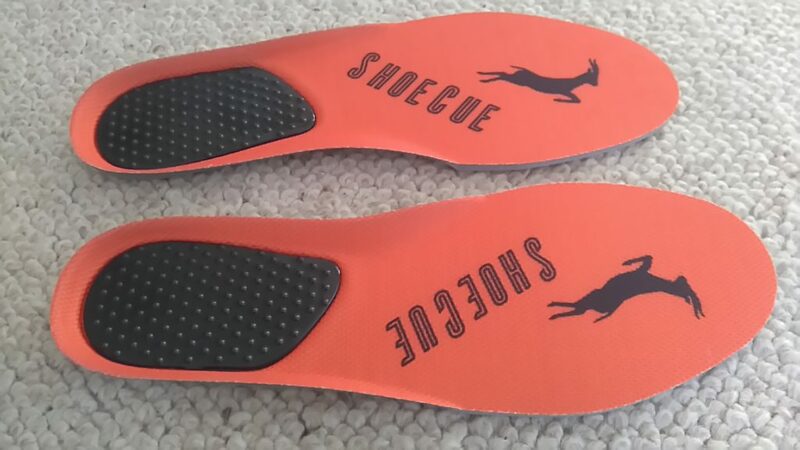 Shoe Cue insoles look like an interesting concept designed to prompt runners into adopting a more efficient running technique. They look like a standard insole but with a textured plastic heel plate covered in small pimples which the wearer can feel. The idea is that by being more aware of how your feet are contacting the ground the insoles act as a prompt or “cue”. This encourages you to favour the ball of your foot rather than the heel and thus reduces over striding. That all sounds plausible so I decided to test them out using a bit of sports science technology. The first thing I did was to go for a short, easy run wearing the insoles to get used to how they felt. I even wore one shoe with a Shoe Cue insole and the other with just the standard insole so that I could compare how they felt. 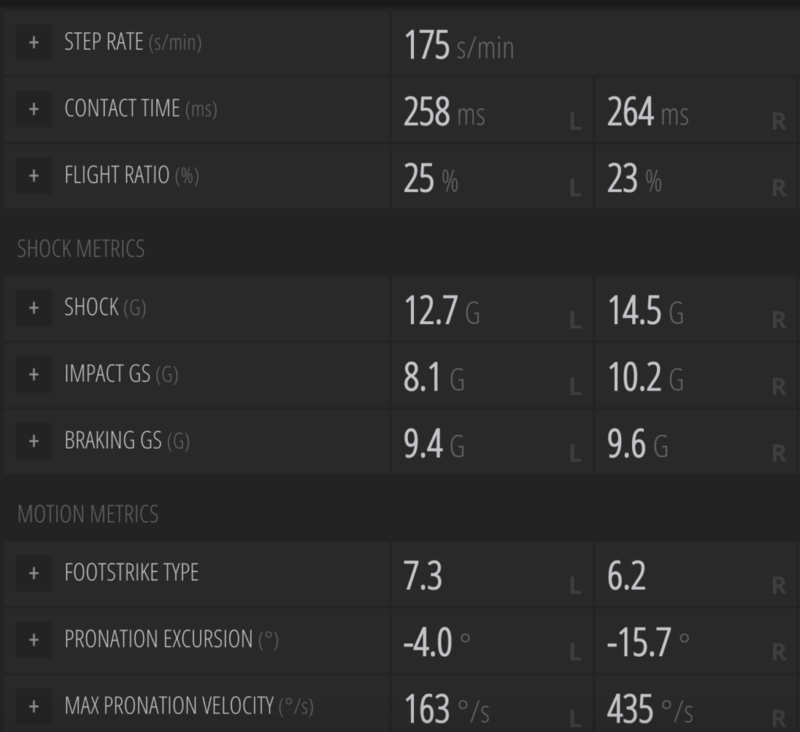 It would be a subjective guess to say if the Shoe Cues made any difference to my running technique so a bit of science was needed. 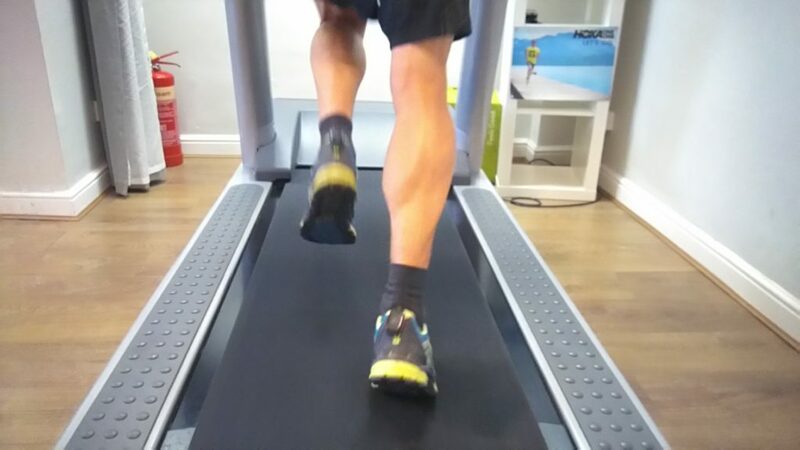 I asked the kind chaps at Front Runner in Sheffield if they could help and they offered carry out a test using their treadmill and RunScribe technology. RunScribe uses small devices attached to each foot which measure data such as Stride Rate, Ground Contact Time (GTC), Braking Force and Footstrike Type (forefoot, mid-foot, heel). Indoor treadmill wearing Inov-8 Trail Talon 275 shoes. After warming up I ran for 5 minutes at a pace of 10km per hour without the insoles then repeated the 5 mins at the same pace with the Shoe Cue insoles. I then repeated the 5 mins without / with the insoles but this time at a faster pace of 15km per hour. The RunScribe data was taken for the middle two minutes of each run. 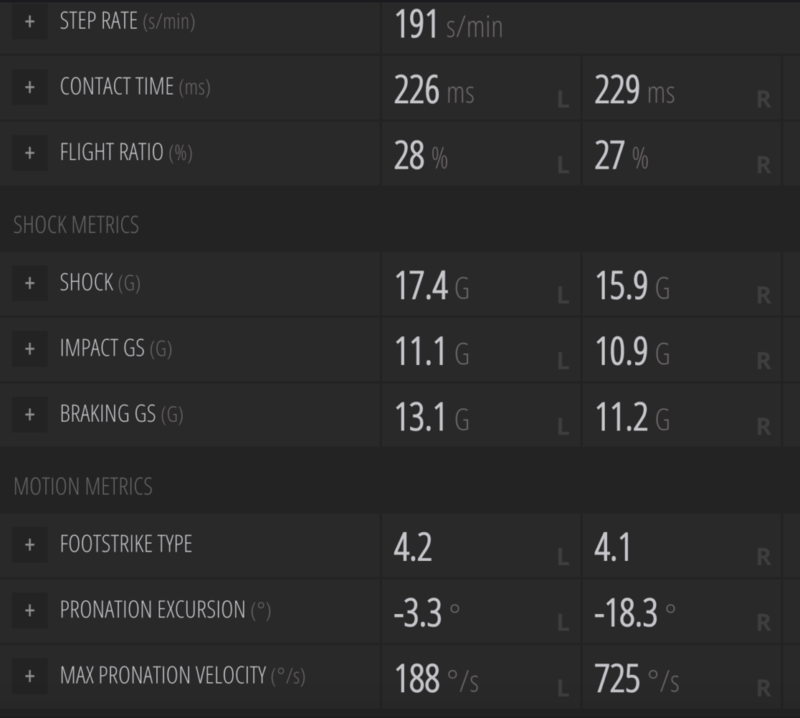 The RunScribe data shows that for the slower paced run there is very little difference in stride rate (cadence) and GCT with a slight reduction in braking force with the insoles. 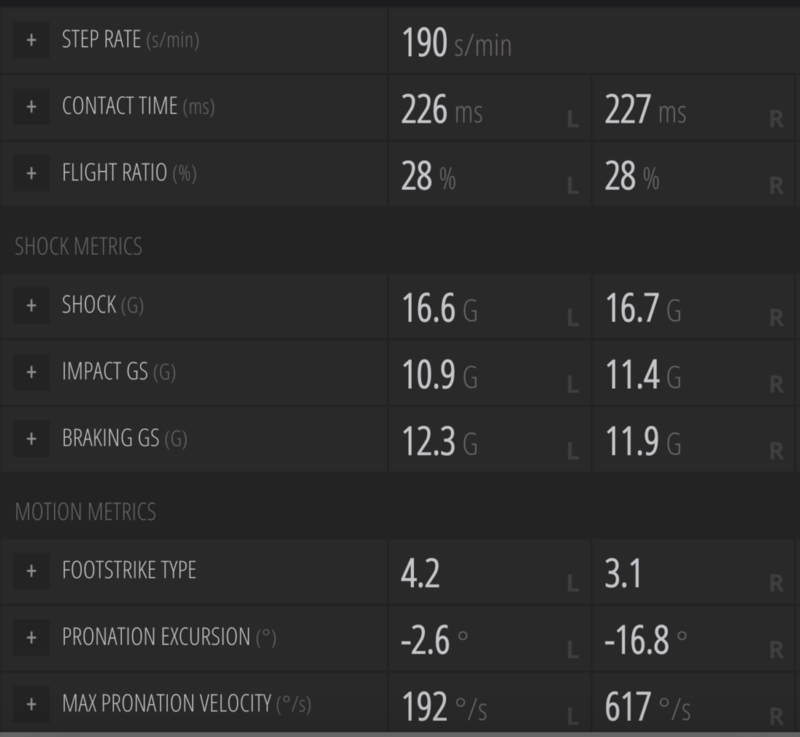 The foot strike type (lower number = more heel strike) shows that I actually went a little closer to heel striking whilst wearing the Shoe Cue insoles. 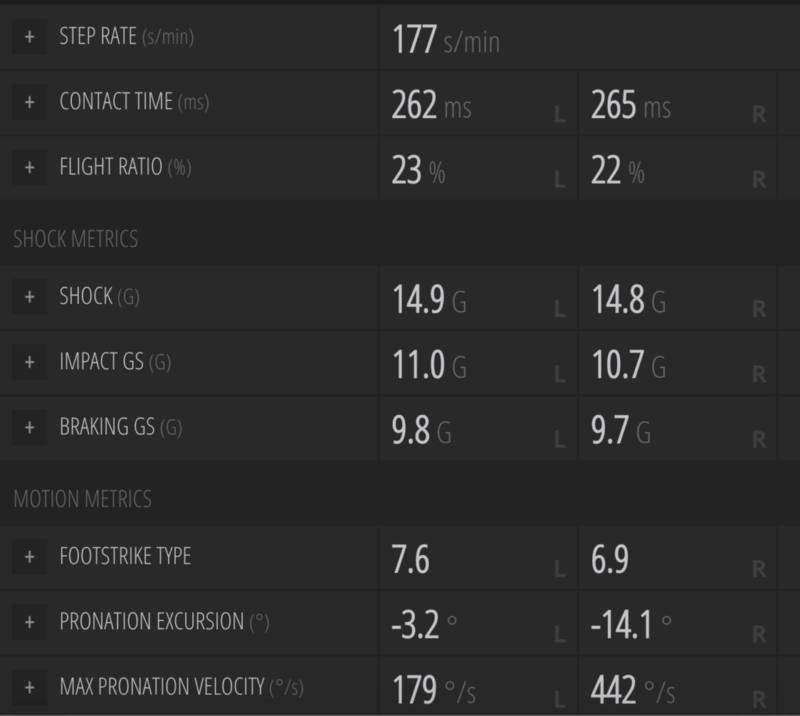 The RunScribe data for the faster paced run shows almost identical stride rates and GCT with and without the Shoe Cue insoles. As for braking force it decreased on my left foot but increased on my right foot when wearing the insoles (work that one out!) A similar discrepancy with foot strike type saw no change in my left foot whereas my right foot landed closer to the heel whilst wearing the insoles. I’ve been running regularly for many years, performing fairly well in competitions – maybe I already have a reasonably efficient technique? Although I could feel the Shoe Cue insoles I didn’t actively try to change my technique – maybe I also subconsciously resisted changing. It might take a longer period of time to adapt to using the insoles. A less experienced runner or someone who over strides (having a cadence closer to 160 steps per minute) might find the insoles more beneficial. It is difficult to over stride and still land on your mid-foot, hence how the sensation of feeling the pimples under your heel can help overcome this. However as with the recent popularity of barefoot, minimalist and zero drop shoes, any change should be made gradually. There are lots of stories of runners who actively tried to change their running technique to a more “efficient” mid-foot landing only to suffer from calf and achilles problems. Anyone trying Shoe Cues should avoid making radical changes to their technique. 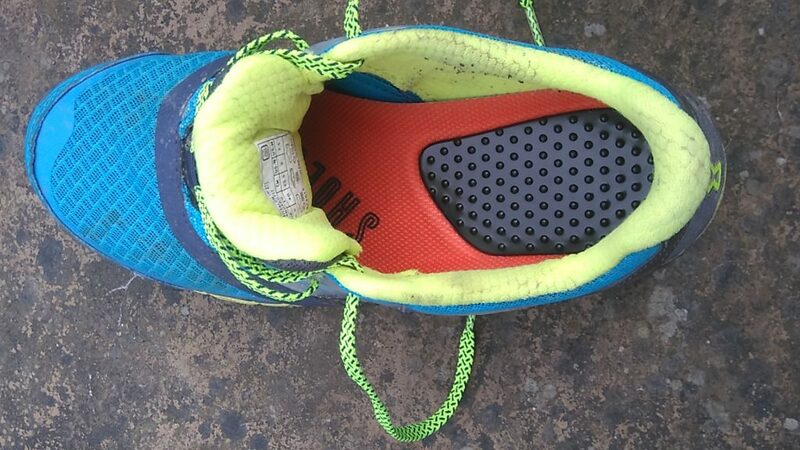 Personally I probably won’t use the insoles although I may use them as a coaching tool to lend to clients to enable them to become more aware of their own running technique. Thanks to Ali at Front Runner for providing the RunScribe data. 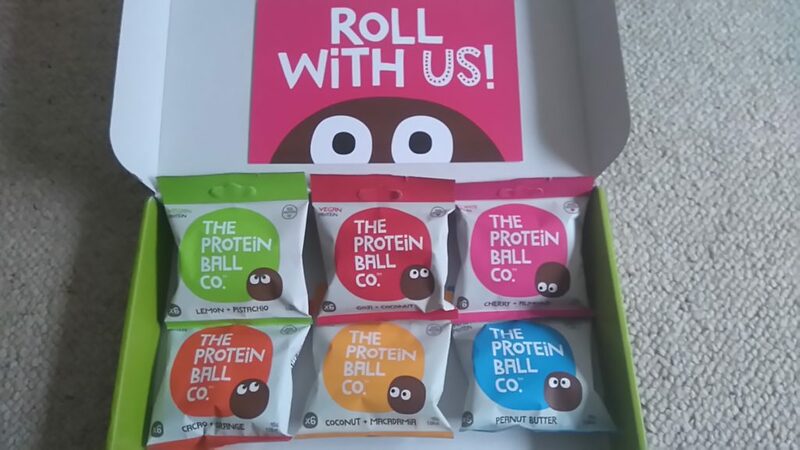 The Protein Ball Co. are a UK based company producing healthy, high protein snacks using natural ingredients. Neatly packaged in a range of six interesting flavours (I like the Goji and Coconut best!) 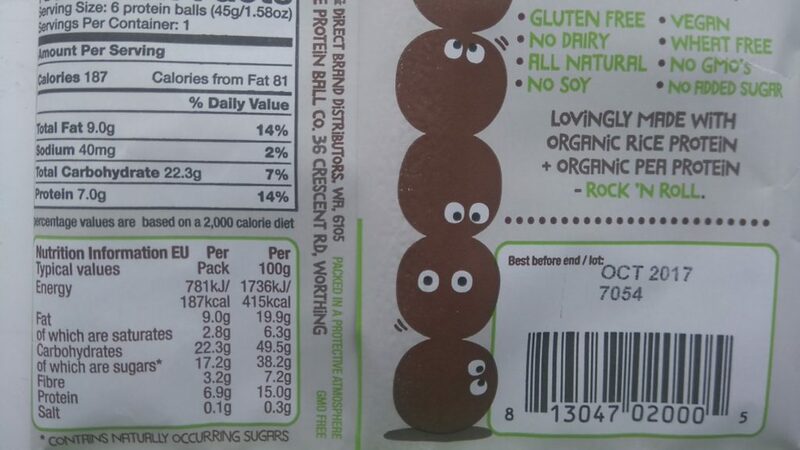 each 45g bag contains six bite size balls. They are all gluten free and vegetarian with a couple of vegan choices too. As well as being high in protein they also contain a decent amount of carbohydrate; a 45g bag of Lemon & Pistachio balls contains 187 kcal for example. This means that on long events like Ultra races or 24 hour Rounds such as the Bob Graham these would be ideal “hill food”. They are much more palatable than sickly sweet gels and satisfy your hunger unlike a gel. The high protein content also means that they make a great snack immediately after a hard training session or race or following a long run. At £1.99 for a 45g bag they aren’t particularly cheap and at the moment they aren’t available in supermarkets although they can be found in Holland & Barrett and also purchased online. 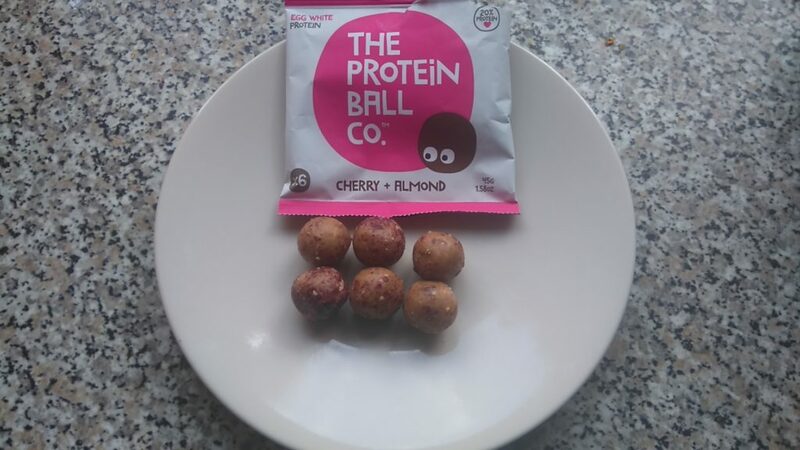 So if you fancy something healthy, tasty and made in the UK to fuel your running these bite sized little balls are worth a try. 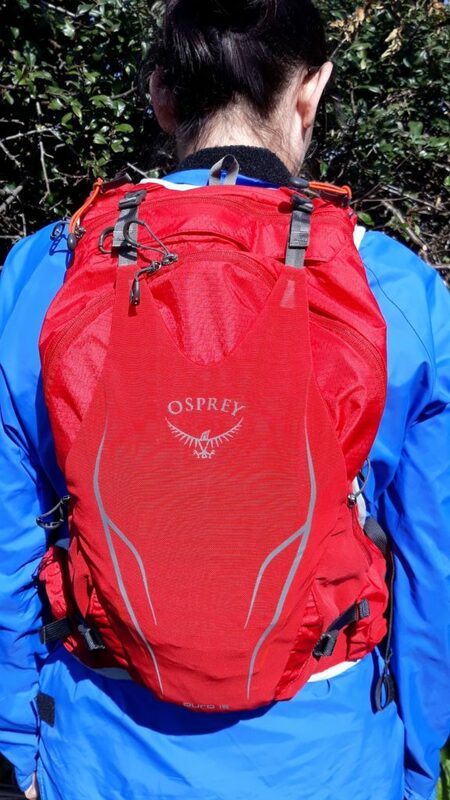 For more details and to find a stockist visit the Protein Ball Co.
Osprey, the Californian company renowned for their packs and rucksacks have introduced a new range of trail running backpacks for Spring 2017 – the Duro. Available in three sizes; 15, 6 and 1.5 litres, here I review the smallest, the 1.5L version. The back of the pack has two zipped pockets with large zip pulls making them easy to open. The smaller pocket has a handy key clip and will just about fit a windproof or minimalist waterproof top whilst the slightly larger, deeper pocket is designed to carry a bladder (not supplied). I found that I could easily fit a set of lightweight waterproofs into the larger pocket. On the top of each shoulder there is a small elasticated bungee that is designed to hold a pair of folded walking poles. There are also two stretch mesh pockets at either side / back of the pack. These can easily take hat, gloves, food etc and I even managed to stuff a small windproof into one. On the front there are four stretch pockets, two on each side. The larger, top pockets house the 250ml soft-flasks that come supplied with the pack and have small elasticated retainers to keep the flasks from moving around (these also make a handy attachment point for a compass). The two lower, smaller pockets are again handy for hat, gloves, food and compass. There is also a whistle attached to the inside of one of the upper pockets. There is also a vertical zip pocket on the front left which is big enough to take a phone or sections of map. The pack is fastened by two elasticated sternum straps that clip across the chest and can be removed and re-positioned in 6 positions. One of the straps has a magnetic clip designed to hold the drinking tube on the optional bladder. This can be easily removed if you don’t intend to use it. I would take it off so that it doesn’t interfere with your compass. The straps can be easily adjusted to fit your chest size. 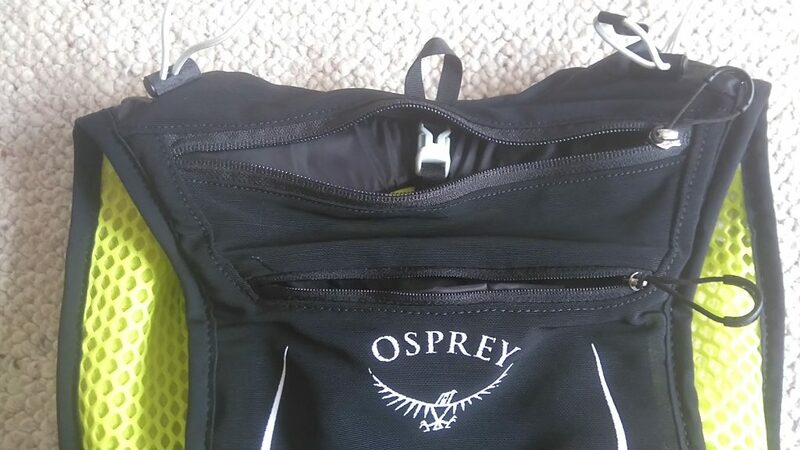 There are two more adjustment straps on the side allowing the pack to be tensioned according to size of the wearer and how much kit is being carried. The whole frame of the pack is slightly elasticated with a ventilated mesh fabric on the inside where the pack is in contact with your body. The graphics on the pack are reflective which is a useful feature if you find yourself running on unlit roads in the dark. I wore the Duro 1.5 over a couple of weeks, with and without the soft-flasks on runs of up to 10 miles at different paces and also lent it to clients on group runs to get their feedback. My first impression was that it was very comfortable to wear, fitting snugly without being too restrictive as the material stretches slightly as you move and breathe. The bottles didn’t bounce excessively even when running at a fast pace. I was impressed by the amount of storage there is despite the pack’s small size; hat, gloves, map, compass, whistle, food, drink and phone are all accessible without having to take the pack off. 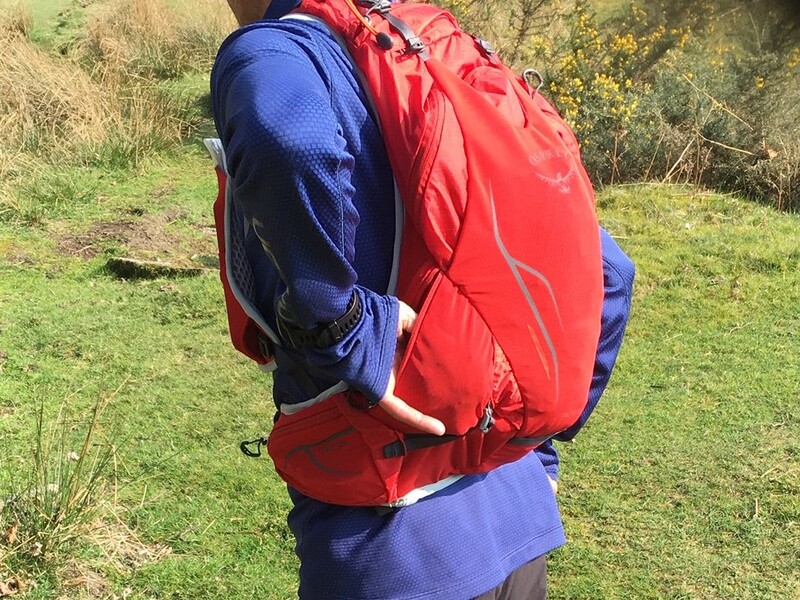 If you intend to use the large rear pocket to carry items you need to pack it so that nothing digs into your back (just as you would with other lightweight packs) and the rear / side pockets are difficult to reach whilst wearing the pack. 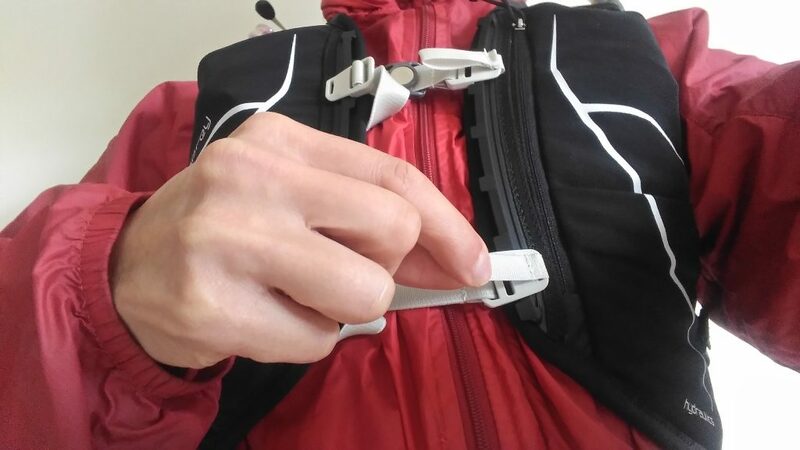 I found a way of reaching round the back with both hands that helped me remove and replace things from these pockets – ok at easy jog pace but difficult to do whilst running quickly! reaching the rear side pockets was tricky! The supplied soft-flasks are only 250 ml each. This has pros and cons – the weight is more evenly distributed, particularly if you only take one flask but at the price of not being able to carry much drink. 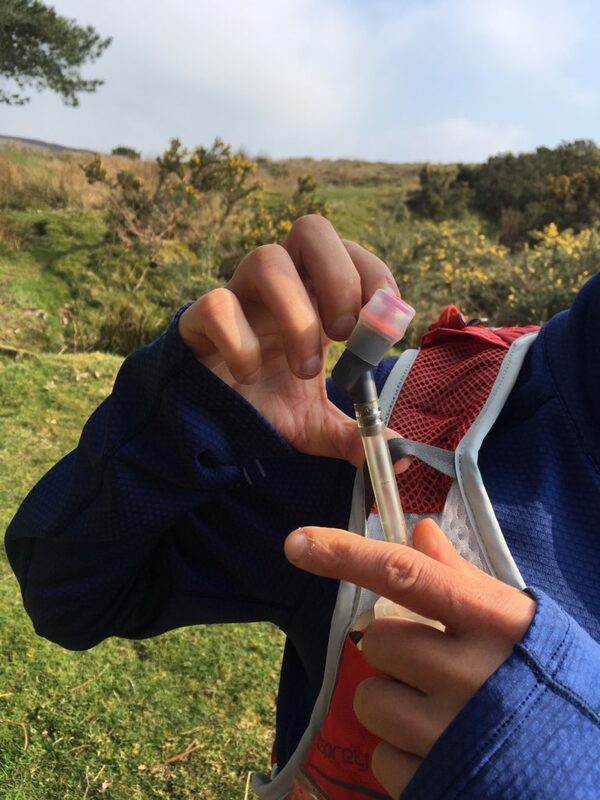 I would prefer larger flasks (I tend to only take one flask as it’s less hassle – only 1 to fill and clean etc – plus extra storage space in the spare pocket) I found that it is possible to swap in a long, thin 500 ml flask although the elasticated retainer doesn’t fit (this wasn’t a problem). I found that fastening the chest straps could be a bit fiddly, especially when wearing gloves. The plastic clips need to line up to locating points on a plastic rail and if you don’t line them up exactly they don’t clip on. A simple buckle would have been easier to fasten. I don’t use poles whilst running so I didn’t test the pole holders. I certainly think you’d have to be either very well practised or a contortionist to stow and remove them without taking the pack off! 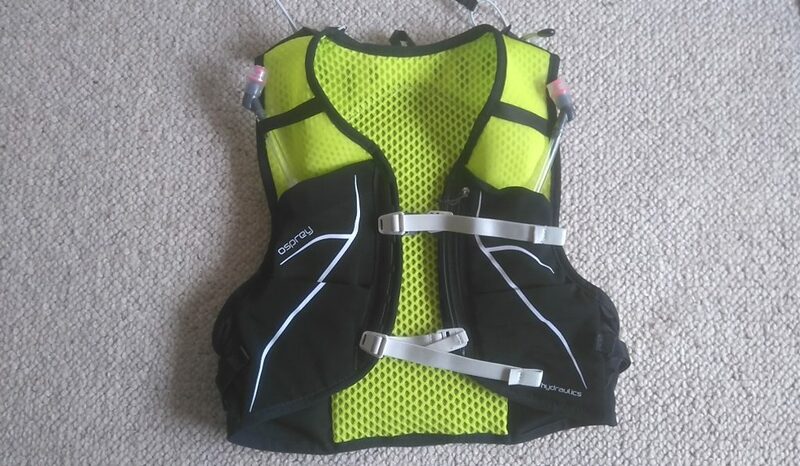 The pack looks really neat, the bright yellow and black is a nice colour combination but mine came with grey chest straps that look a bit out of place (am I being too fussy?)! The Duro 1.5 is just the right size for when you can fit all your kit in your bum bag but doing so makes it really big and bulky. So for example on runs when I want to carry waterproofs and a drink, yes I can fit it all into a bumbag but the bumbag then bounces around whilst I’m running. 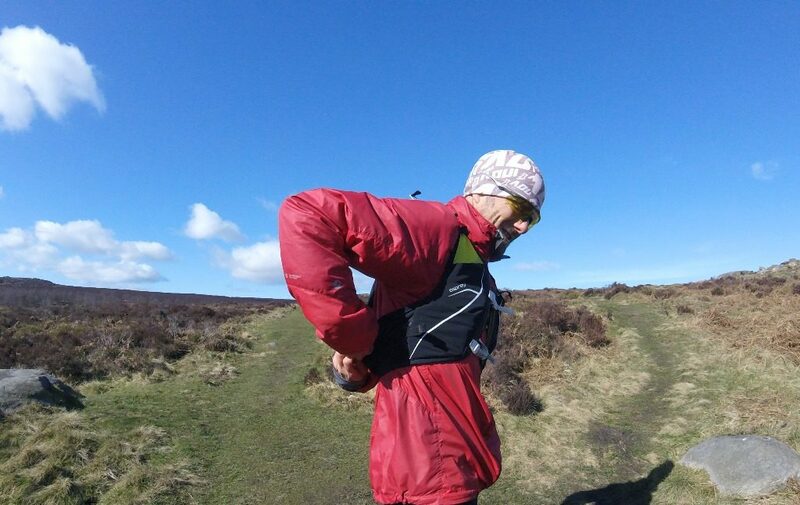 I would use the Duro 1.5 on long summer runs when I need to carry water but little in the way of clothing or on races where full kit is needed which makes my bumbag too bulky. A comfortable, well designed running pack with plenty of storage options despite its small size. 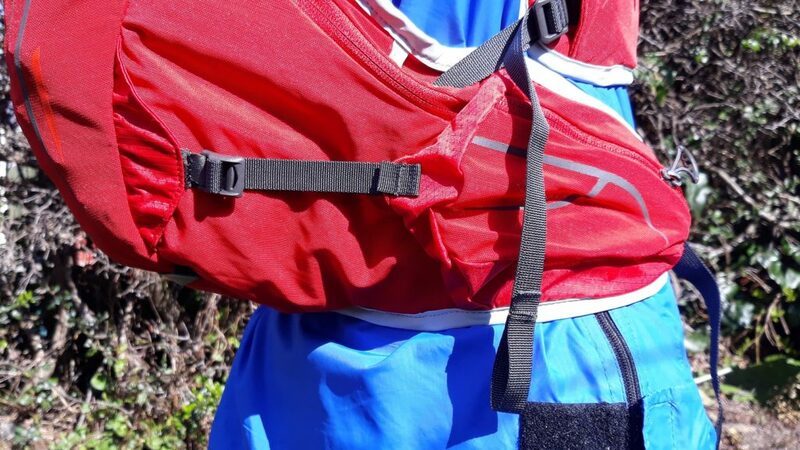 Ideal for runs or races where you need to carry just that bit more than comfortably fits into a bumbag.